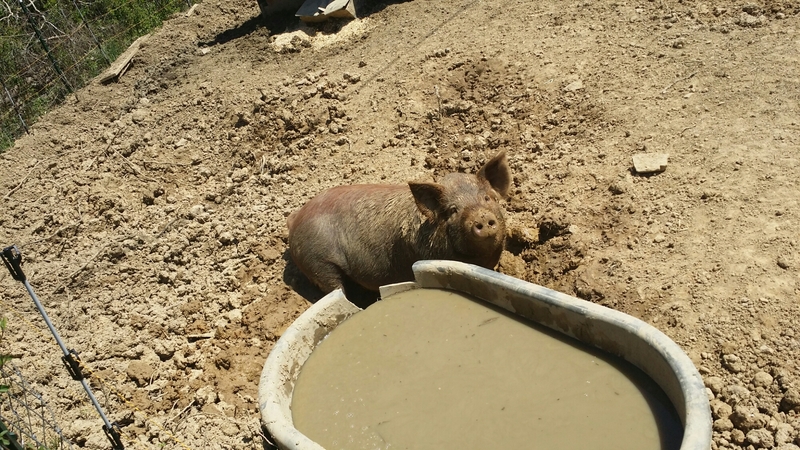 The temperatures started climbing here in Southern Ohio about three weeks ago, and the pigs started trying to have a little swimming pool in their water trough. 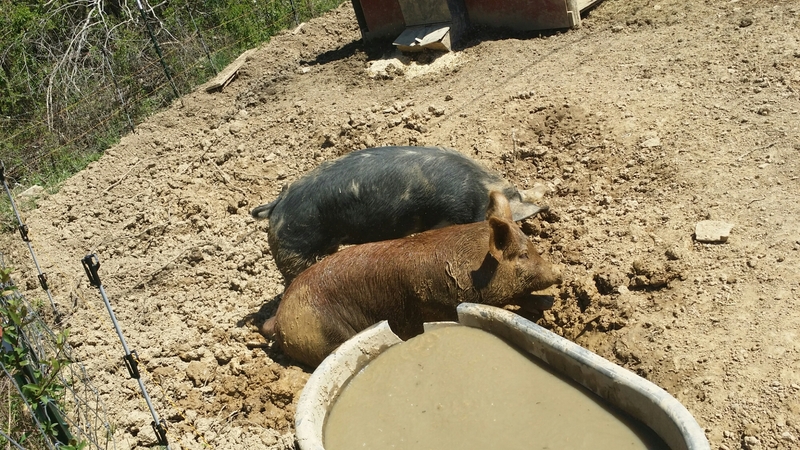 They would splash a little water out, and then they would get out of the trough and roll all over the clay dirt to make a wallough spot (pronounced “waller” if you want to get the correct dialect going on in your head LOL). They didn’t care too much for being sprayed by the hose, but they sure did love all the water when I forgot to turn the hose off, and it ran over. By the time that I remembered, they had quite the swimming hole going on! 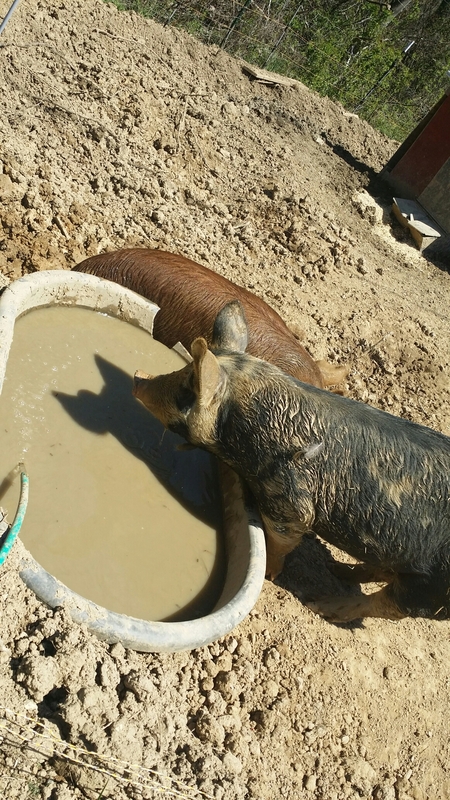 Now that I know they really do like it so much and it’s not just a cliché that people say about pigs, I make sure to give them a little extra water every day so they can get in the mud and enjoy themselves. 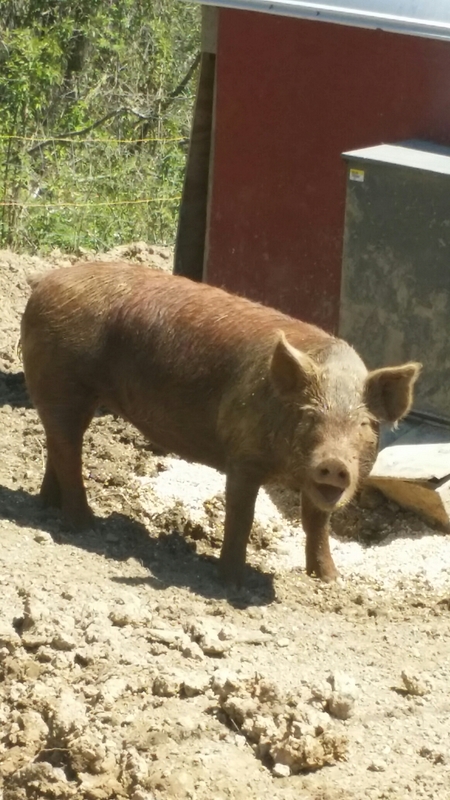 I think they love me for it (well, that and the fact that I always have the slop bucket daily LOL).